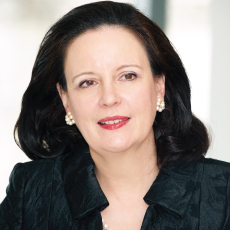 Cornelia Meyer is a business consultant, macro-economist and energy expert as well as a media commentator. She is also Chairman and Chief Executive Officer of MRL Corporation and Chairman and Chief Economist of LBV Asset Management. MRL provides et altera the Chief Economist and CIO services to the (European Family Office) EFO-Alliance, Europe’s premier platform for family offices. The company also advises a multitude of multilateral organisations and multinational corporations on a wide range of geo-economic issues. Ms Meyer’s experience stretches over five continents on a vast range of assignments and projects as an economist, a financier, adviser, regulator, manufacturer and principal in the energy and other industries. Her particular focus are emerging markets. Cornelia has a strong media presence, as a commentator and guest presenter on various business and political TV news stations. These include: the BBC, CNN, CNBC Arabia, and Bloomberg. Cornelia regularly contributes her analysis to the BBC and was a regular contributor and identified as thought leader on emerging markets by CNN for their emerging markets programme. Cornelia writes regular columns and Op-Eds for various publications such as Arab News and “Finanz und Wirtschaft”. Cornelia provides the major macroeconomic column for Swiss National Public Radio. to the Honourable Yoshiro Mori, then Minister of International Trade and Industry. Afterwards she held several senior positions in energy, development and investment banking covering Asia, Russia, Eastern Europe and the Middle East out of Tokyo, Manila and London for institutions such as UBS, the ADB and Citigroup. Cornelia’s career became more broadly industry based when she joined General Electric and later moved to BP. In 2010 she founded MRL Corporation, which is an advisory firm. Ms Meyer served as the Chairman and then Strategic Advisor to the Board of Gasol plc, at the time an AIM listed independent gas (to power) company. Cornelia held various non-executive board memberships in commercial enterprises and not for profit organisations, such as the Royal United Services Institute, the UK’s premier think tank for defence and security. She also used to chair the business and economic group of a US government funded “Track II” diplomatic mechanism for Middle East Security. Cornelia is a member of Oxford Energy Policy Club and serves on the Advisory Boards of the Istanbul Finance Summit and Euromoney. She was a member of the World Economic Forum`s Global Agenda Council for Energy Security. The World Economic Forum has subsequently identified her as a thought leader in geo-economics. Cornelia was educated at the St.Gallen University, the London School of Economics and Tokyo University. She speaks seven European and Asian languages.